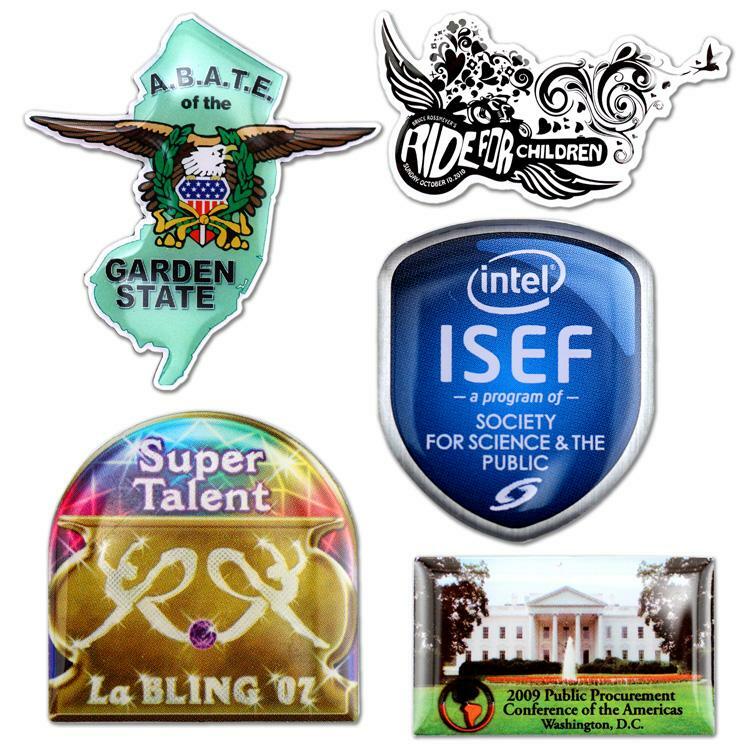 Litho four color process lapel pins reproduce full color images, photographs, and graduated colors in designs. There is no need for metal separators between colors, making them ideal for duplicating color gradations in corporate logos, team designs or event branding. Whether used in recognition and branding programs or in pin trading, litho pins are sure to create economical and lasting impressions.